Baking with rice flour can be a challenge as well as opportunity to practice gluten-free food preparation. Since they lack gluten, alternative flours handle differently which, through experience, is a process you will learn to manage. As you are probably well aware, pre-made gluten-free foods can be considerably more expensive. This sad truth is confirmed by a 2008 study published in the Canadian Journal of Dietetic Practice and Research (69(3):147-150). Thus, learning to bake your own gluten-free foods makes good sense. You will find both white and brown rice flour at your supermarket. Both flours vary widely in their handling, taste, and nutritional value. These differences will influence your choice of flours. One of the most glaring characteristics of brown rice flour is that it is heavier than other types such as tapioca or coconut flour. Its texture makes it a common ingredient in gluten-free, all-purpose flour mixes because it lends body to the blend. 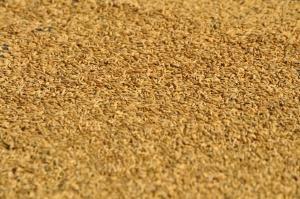 Brown rice flour is made from the whole grain rice. This fact gives it a higher fiber content than white rice flour. While not a significant source of vitamins and minerals, it does contain iron, potassium, and phosphorus. When compared to white rice flour, it is the healthier choice. White rice flour is considerably lighter than brown rice flour. Unlike brown rice flour, you can bake with white rice flour alone. It will not impart any flavor into your recipes, making it more of a foil-like gluten-containing flour. White rice flour has a better shelf life than brown rice flour; something to bear in mind when purchasing either type of flour. The bane of cooking and baking gluten-free are the common unexpected and negative results you may achieve. Using brown or white rice flour is no exception. You will find bread recipes do not rise well when using gluten-free flours. You can get better results if you make smaller loaves rather than a regular sized loaf of bread. The weight of brown flour is often the drawback. You can also add other ingredients which can improve the flavor and rising quality of your gluten-free breads. When baking yeast breads, you may want to consider adding a bit of gluten-free vinegar or ascorbic acid to your recipe to help your breads rise better. The book, "Joy of Cooking," recommends 1 teaspoon of vinegar per 4 cups of gluten-free flour or ¼ teaspoon ascorbic acid. The moisture content will vary when baking with rice flour. You can compensate for this by adding eggs or other liquids to your recipe. This characteristic also applies to storing baked goods made with rice flour. Be sure and store foods in airtight containers after they have cooled to room temperature. You should store either white or brown rice flour in airtight containers. You can extend the freshness of the rice flour by storing them in the refrigerator or freezing unused portions. Freshness is essential for making the best tasting baked goods using either white or brown rice flour. You will find that, when using either type of flour, the dough will be very sticky and difficult to handle. Perhaps, using a standing mixer or a bread machine will make life easier when working with rice flours. While white rice flour has a good shelf life, you should only buy rice flour from a store that has rapid stock turnover to ensure you are getting the freshest product. You can follow this advice when buying any gluten-free flour, as other flours in addition to brown rice flour have a shorter shelf life. Brown and white flours offer more opportunities to create gluten-free foods which are nutritious as well as delicious. As with any ingredient substitution, a little practice may be necessary to get your recipes just as you would like them.